James K. Polk (1795-1849) was the 11th president of the United States, holding office from 1845-49. He was a lawyer and legislator in Tennessee and was the last Jacksonian president. 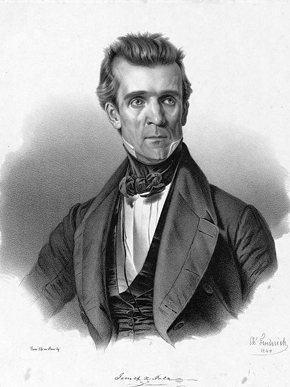 Before his presidency, Polk was the Speaker of the House and governor of Tennessee. He promoted expansion of America's territory, acquiring Texas, Oregon, New Mexico, and California during his presidency.